Voleti Venkateswarlu’s mellifluous, resonant bass voice and modest demeanor made him a connoisseur’s favorite among the great singers of Karnatak classical devotional music. 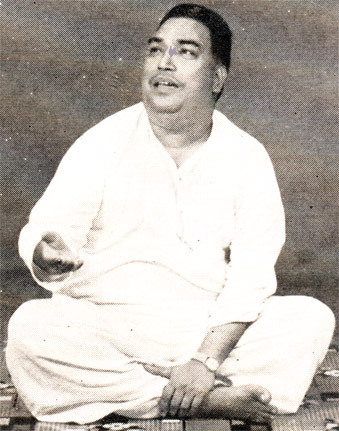 Along with other top artists from All India Radio, Vijayawada, A.P., Nazir Jairazbhoy recorded him on his “Musical Journey Through India” in 1963. 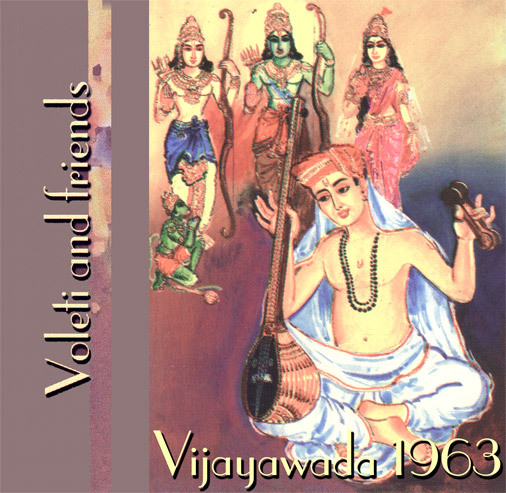 The soloists (Voleti, vocal; R. Subba Rao, vina; K. Kannan, flute) chose to perform primarily the heartfelt songs of Saint Tyagaraja, shown on the CD cover singing his praises to Lord Rama, Lakshmana, Sita, and the monkey god, Hanuman. Inlcudes a 4 page booklet.